whats that on the bed(it looks yummy!). 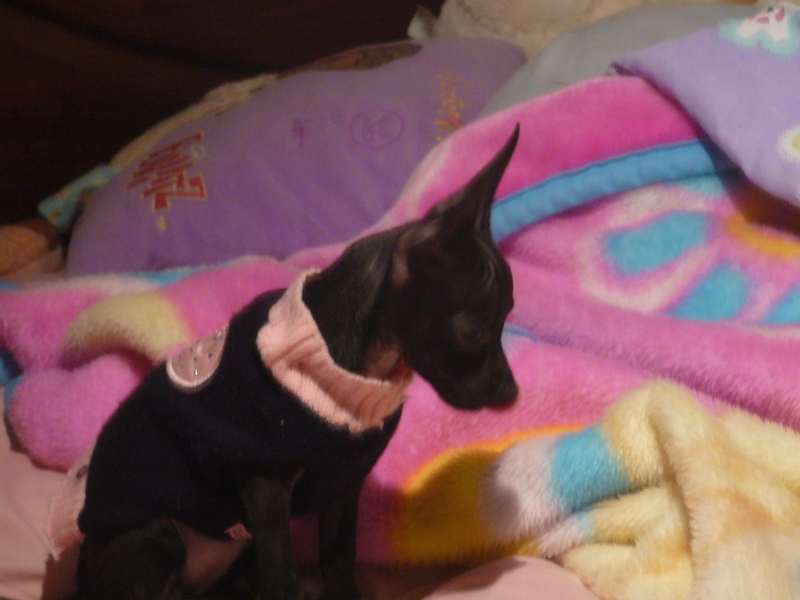 my dog chispita. HD Wallpaper and background images in the Chihuahuas club tagged: cute chihuahua 4 months. This Chihuahuas photo might contain ラットテリア, ネズミ捕り, ラター, ラット ・ テリア, ネズミを捕る, and チワワ.